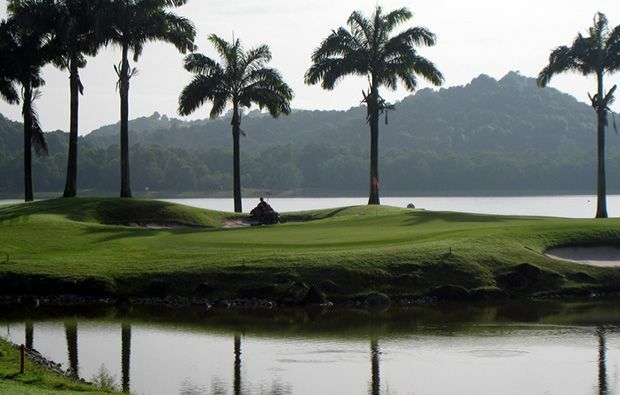 The Lake Course was renovated in 2001 and is very popular with social golfers and runs beside the Tengeh Reservoirs and is in immaculate condition with zoysia grassed fairways and deep bunkers. As you make your way around you are sure to encounter plenty of local wildlife including some large monitor lizards and local bird life. 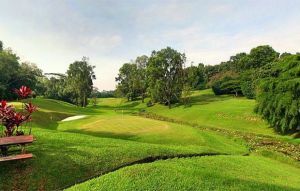 Pick of the holes include the par-3 2nd with the hills framing he green which is fronted by a large pond which demands the correct club selection. The 4th, although a relatively short par-4 is the most difficult hole on the front nine with a tee shot to a very narrow landing area bordered by bunkers to the left and a pond to the right. Even then you are not out of the woods as you are faced with a medium length iron to a narrow green protected by water and bunkers. Great view from the 10th tee box but an over hit drive with any draw on the ball is in danger of going out of bounds so better to play short of the bunkers which leave a blind but very makeable approach. The 13th is a dogleg par-4 bordering the lake with a challenging approach to a green which has the tendency to throw balls towards the water. The par-3 14ht looks simple but the very large green often leads to 3 putts. The 15th is a driveable par-4 but with plenty of risk involved as the landing area is very narrow with 4 bunkers guarding the right side. The 16th is the most interesting and difficult par-3 on the course with water in front and over the back of the green there is no margin for error. 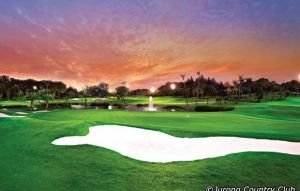 The Palm Course is the natural choice of the more accomplished player and has hosted several major tournaments. You cannot attack this course and you need to enure you place your drive in the coreect position or bogeys or worse will result. 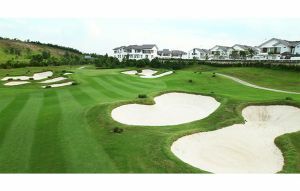 It also offers great views and plenty of natural hazards which make it a joy to play even if you don’t score that well. 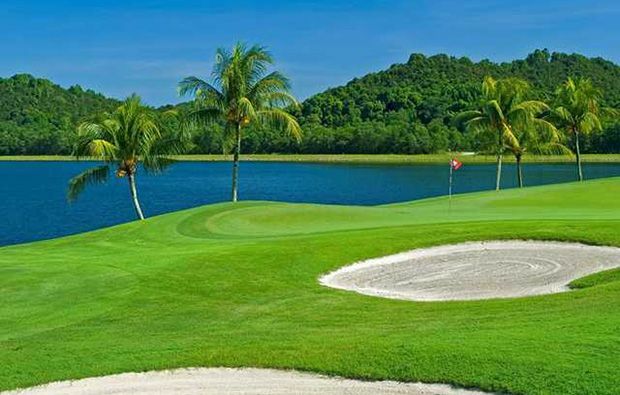 The 4th hole is typical of the challenges that await with a long carry over water to a narrow fairway and then an approach to a narrow green bordered by bunkers on the left and water on the right. Superb clubhouse facilities with several restaurants serving Chinese and Japanese food, a sauna, swimming pools and tennis courts. 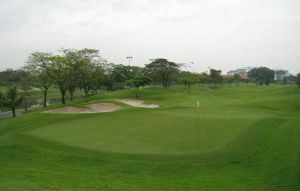 A modern driving range and well-stocked pro-shop complete the facilities on offer at this outstanding golf course. 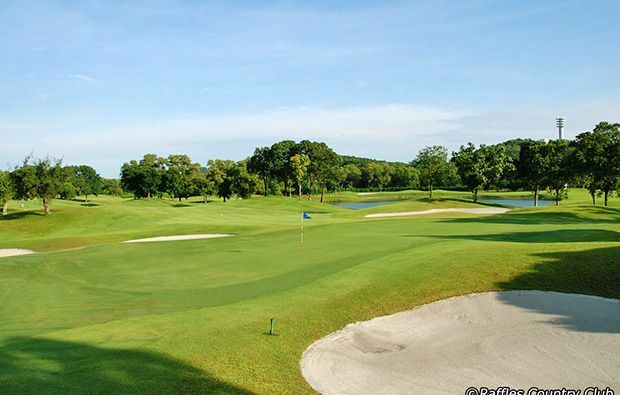 If you would like to make a tee time reservation at Raffles Country Club then Golfsavers have excellent rates and can confirm very quickly using our online booking engine. 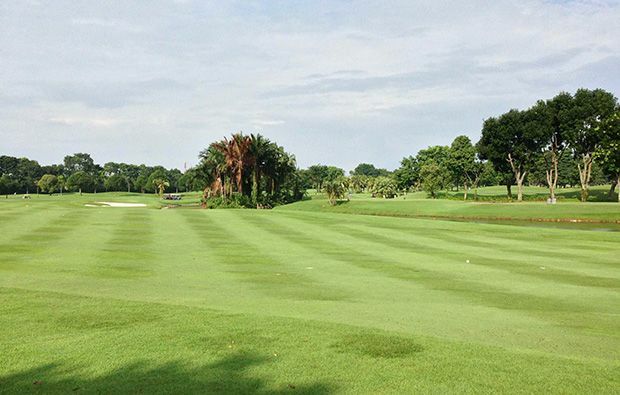 Raffles Country Club has different Services to offer. Choose a date and number or players to see the rates.